Network-based methods have recently become a popular tool in ecology for modeling animal movement and behavior in geographic landscapes. 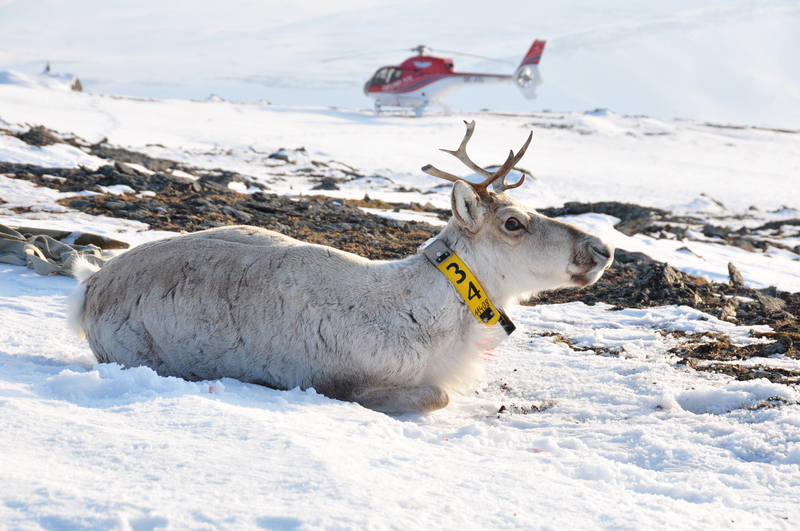 The RenewableReindeer project aims to develop this methodology to assess the functionality of wild reindeer habitats in Norway in order to guide decision making in the planning of hydropower infrastructures. Norway is planning to build hydropower plants for production and storage of renewable energy. The construction of hydroplants in the recent decades has already caused huge changes in the mountain landscape of the country, which also hosts the last remaining wild reindeer in the world. Wild reindeer are extremely cautious and avoid dangerous situations, such as encounters with humans or man-made infrastructures. RenewableReindeer is a project lead by researchers of the Norwegian institute for nature research (NINA) that aims to develop methods for assessing the functionality of a landscape for the reindeer and measuring the impact of the building of hydropower plants, their water reservoirs and other related infrastructure. The assessment is based on considering the landscape as a network and integrating the quality and connectivity of the habitats in a landscape with network-based measures. These measures are partly developed according to the Randomized Shortest Paths (RSP) framework, which models the movement patterns of the animals as occuring along close-to-optimal trajectories. The fitting and validation of the methodology is based on movement data collected with GPS collars worn by some animal individuals. Predicting the continuum between corridors and barriers to animal movements using Step Selection Functions and Randomized Shortest Paths. Manuela Panzacchi, Bram Van Moorter, Olav Strand, Marco Saerens, Ilkka Kivimäki, Colleen C. St Clair, Ivar Herfindal, and Luigi Boitani. Journal of Animal Ecology 85, no. 1 (2016): 32-42.